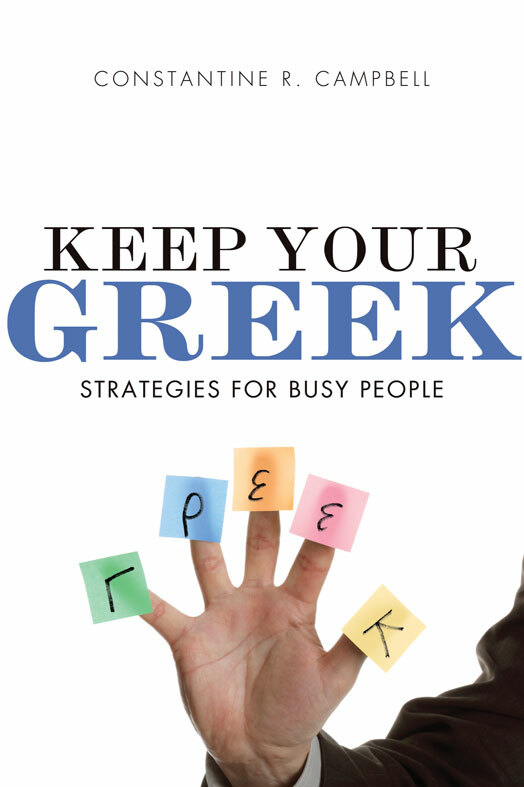 In “Keep Your Greek,” Campbell gives practical advice and tips on things you can do so that your Greek doesn’t die. Some of the tips are obvious. A couple may surprise you, but the logic behind it is undeniable. I am not a seminary student. I was encouraged to study Greek on my own after frequently watching a pastor on television who uses several different languages in many of her sermons to point out context, tense, etc. I wanted to be able to do this in my own personal studies. Unfortunately, as Bill Mounce says, I got “lost in the fog.” I got discouraged and began to study less and less, until it was not-at-all. I want to change that, so I knew I had to read “Keep You Greek.” It is so encouraging, especially since I am doing this on my own, to see that others struggle the same as I do. The tips in this book will no doubt help me learn and keep my Greek. This book was provided to me for free by Zondervan for the purpose of this review. My opinions are my own. This was book 5 in my 52 Books in 52 Weeks challenge.